I'll be taking a picture of each of my 12 showcases I'll be setting up and then will also have a case of $20 each or 3/$50 and then another box of $5 each 5/$20. Starting tonight over the next couple days I'll put a picture of each case as I set them up here at my house along with a description of what is in each case and my asking price. I have an asking price listed for each card. 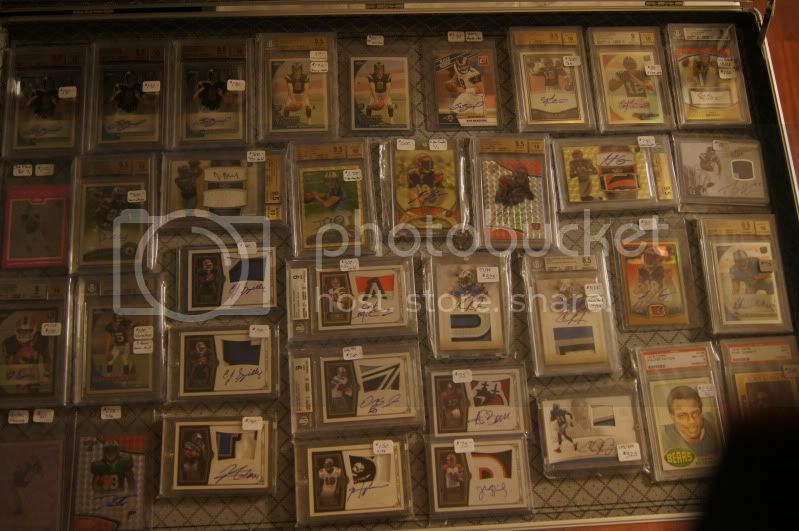 I will move down on all of them (usually 10%-30% off that price), it is more just a "retail price" for each card. Looking for high end rare items. I will pay well for them. If you have something really nice and are thinking of ebay please contact me first. Be careful. Bought a lot from this guy, never sent cards, never responded to PMs or emails. Had to file claim to get my money back. not to mention his stupid prices. Can't speak for anyone else, but I did a deal with the OP a while back with no issues. 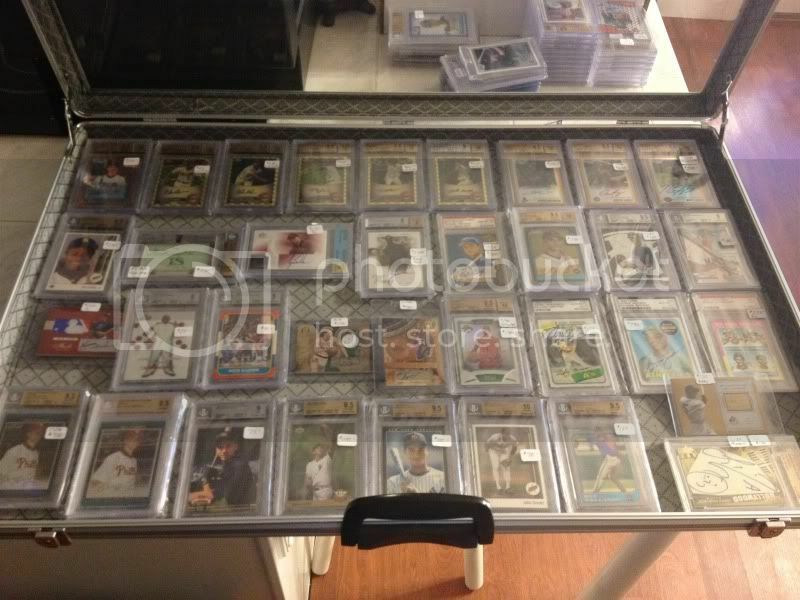 This guy may be the most inconsistent person in the hobby. He makes tons of deals and they all go smoothly and then he falls off the face of the earth and leaves a bunch of people hanging. I would definitely not deal with this guy.